We come to your event site to build and remove a pop-up Bell tent village of your liking. Typical glamping tent rental furnishings include bed(s), pillows, linens, area rugs, end tables, lanterns, chairs and lots of style & charm. 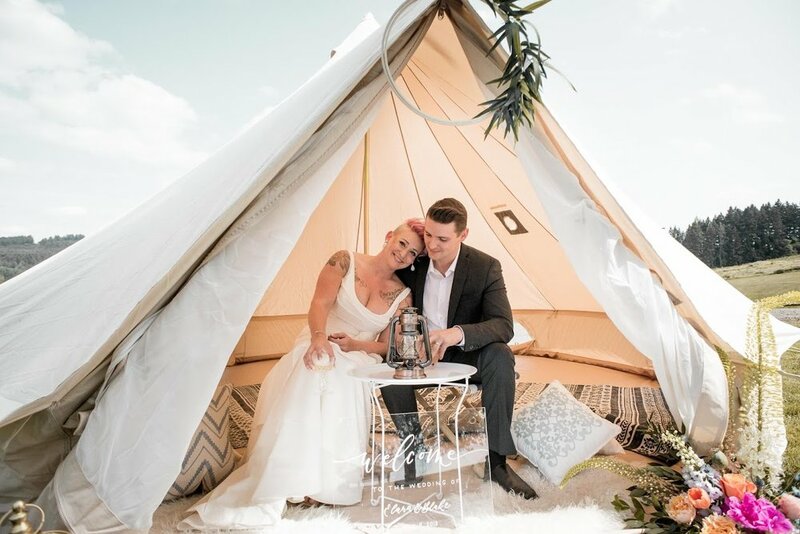 Our Bell tents will take your event to the VIP level, keeping your guest amazed - and dry. Furnished Suite Tent Rental - Camping tent rental set-up for the two-some that is looking for comfort. Family-Style Tent Rental - Provide the kids their own special bed in "the fort." Simple-Style - Skip the glamp and just let us camp. Do-It-Yourself - You pick up the tent and gear, or we ship it to you. We provide you with your camping tent rental, furnishings, camping gear for your adventure, and simple tent set-up instructions. Lets discuss specifics, but full-service glamping tent rentals start at $475 per tent, for 2 nights. $50 for each incremental evening. 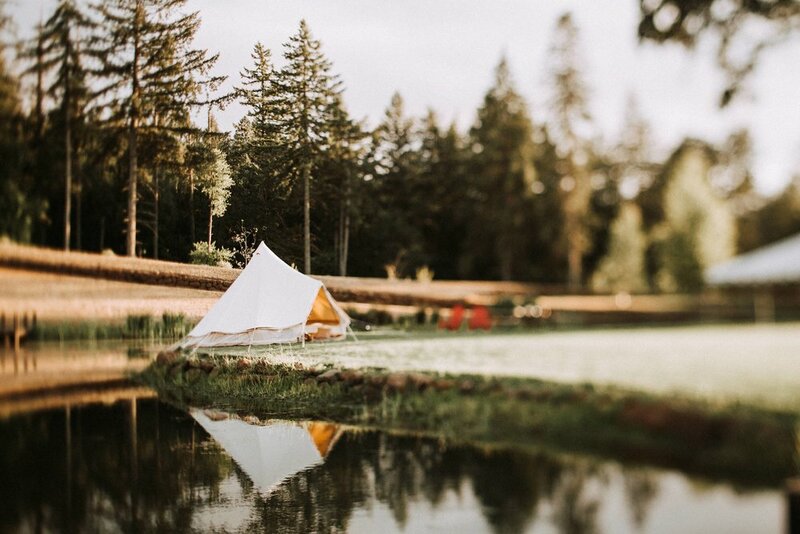 This price includes bell tent set-up, furnishings (see above), reservation management, guest payment management (if necessary), and day of guest check-in. Most set-up productions will incur an incremental delivery and travel fee. We are happy to ship you a tent. Total cost, including S/H is $345 per tent, for 3 nights of use (transit time of course does not count!). Sorry, we do not mail any furnishings. Sorry, limit of 3 tents for mail delivery rentals. We offer pick-up from Corvallis Oregon. Bell Tents are $175 (1-3 nights). Furnishings are additional. Children's Sleepover palace: The kids will be bouncing off the walls in the best fort ever! Floor Space: 209 sq. feet. *We suggest providing a 20 foot diameter clearing for each tent to allow for the guy lines and stakes to secure each rental camping tent to the ground.